Ten US sailors – nine men and one woman – were briefly held last week by Iran after making a navigational mistake that led them into Iranian waters. 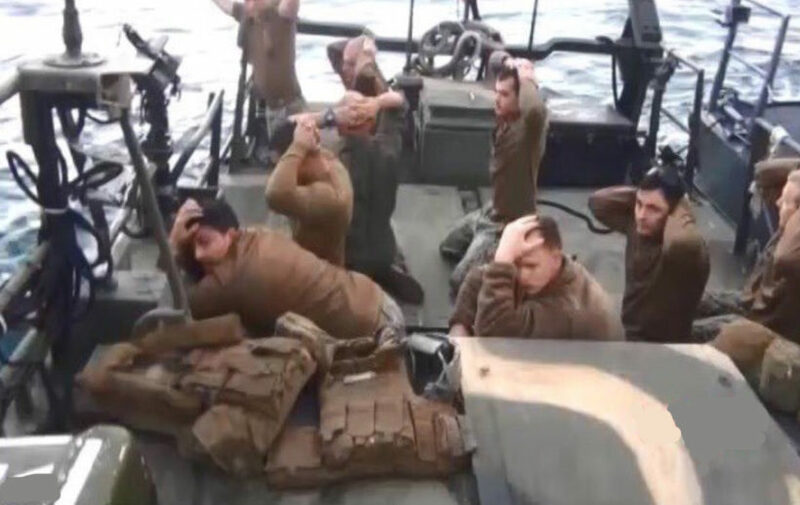 Iranian state television then released footage of the arrest, showing the sailors as they knelt down with hands behind their heads and their two vessels being surrounded by several Iranian military fast boats. It also released footage of one of the detained soldiers apologizing for the incident. 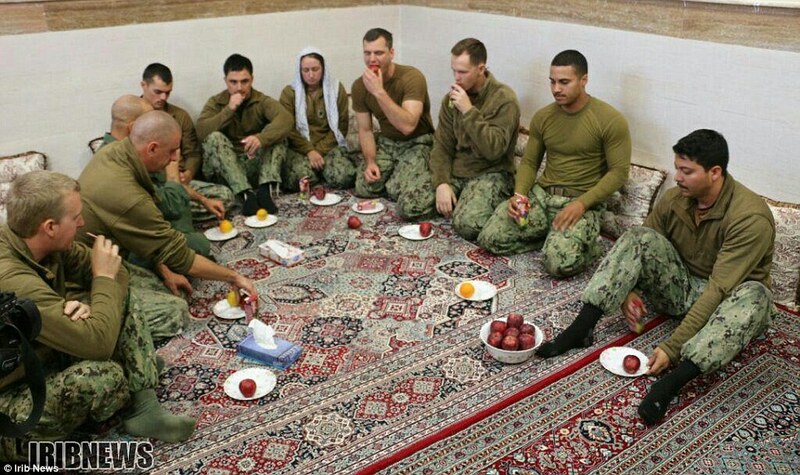 The group were questioned for several hours by the Iranian Revolutionary Guard but were later pictured sitting cross-legged without shoes while eating food inside a bare room. 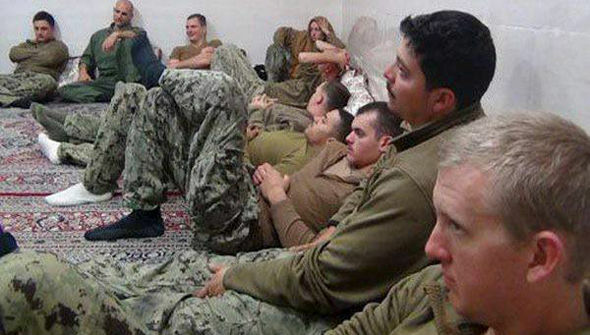 President Obama gave his State of the Union address the night our sailors were being held by Iran. He said nothing about it. Republican Governor Nikki Haley gave the Republican response to the President’s State of the Union. She said nothing about it. One of the 10 U.S. sailors captured by Iran was a woman. It turned out to be the international crisis that wasn’t. Less than a day after 10 U.S. Navy sailors were detained in Iran when their boats drifted into Iranian waters, they and their vessels were back safely Wednesday with the American fleet. 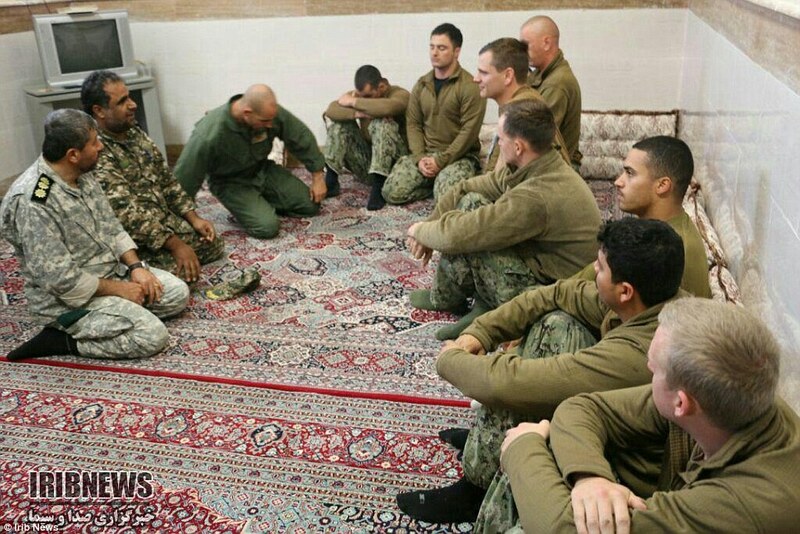 The Revolutionary Guard released images of the U.S. sailors before their release, showing them sitting on the floor of a room. They looked mostly bored or annoyed, although one appeared to be smiling. The woman had her hair covered by a brown cloth. The pictures also showed what appeared to be their two boats. Photo Iran released of US sailors. 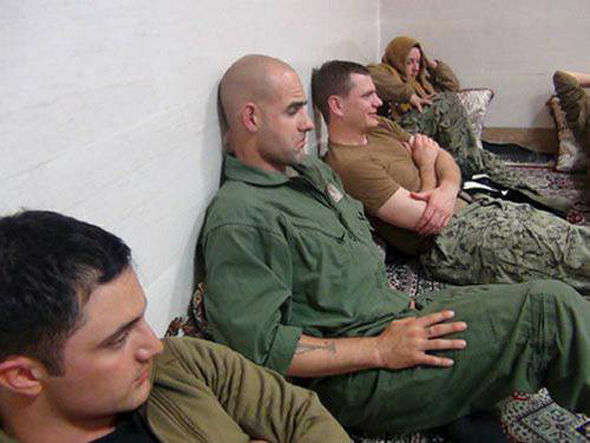 Photo of U.S. sailors being held by Iran. 1. A female US Navy sailor held captive by Iran last week was forced to wear a headscarf during her 16 hours in captivity, according to American experts after photos were released of the encounter. What type of bias did the media display by not reporting this fact? 2. Why do you think ABC, NBC, CBS, CNN, The NY Times, Washington Post…did not mention the fact that a US servicewoman was forced by Iran to wear a hijab? 3. Why do you think this was reported by the media (and by the Obama administration) as a “nothing to see here” story?